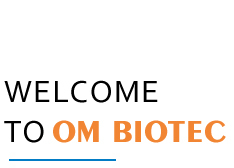 OM BIOTEC (A unit of Om International) has Certified ISO 9001:2000, is the Manufacturer and Exporter of Pharmaceutical Products and in the trade since 1997. Our products range encompasses of only Pharmaceutical formulation in the dosage forms like Injectables, Capsules, Tablets, Syrup & Suspension, Eye/Ear Drops, Ointments and Nutritional Powders. Our unwavering efforts in maintaining the quality of our pharmaceutical medicines begins right from the procurement process. We source our gamut of medicines from reliable and trusted associates in the industry. Our ethical business practices as an exporters and manufacturers of pharmaceuticals, has enable us in making trusted partners throughout the domestic as well as in the global market. We are able to achieve complete client satisfaction.